Mary’s Peak Sits at 4,097 feet above sea level, making it the highest point in the Oregon Coast Range and beautiful in both stature and trail, with roots and some steeper pitches to challenge the most veteran runner for the 50K and 50M. This event starts from a staging area in Blodgett, Oregon, at the school, for the 50k/25k with participants boarding a bus for a ride to the base of the peak. The start of this point to point trail run is at 7:15am for the 50K and 8:15am for the 25K. The 50-mile entries skip the bus ride for a double accent of Marys Peak for an Ultra to remember. Marys Peak is part of Siuslaw National Forest and features many types of trails to dig your feet in, including some challenging Starker Forests trails for the second part of the 50M and 50K. 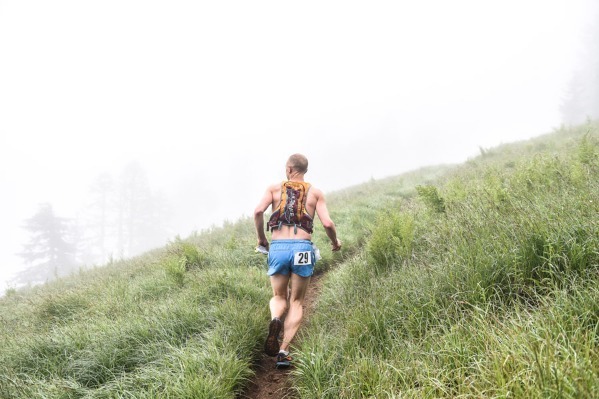 The 25K makes its way on 10% Marys Peak and 90% Starker Forest for an amazing 25K with fun and challenge for those wanting an experience without the mile or two miles of climbing.